What to do with prunings? 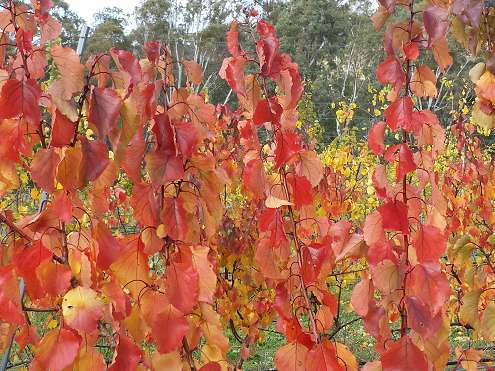 We’ve been busily pruning apricot trees this week, making the most of this beautiful autumn weather and enjoying the glorious colours. If your apricot tree is like ours, with a spot of gummosis, then it’s very important to pick the diseased prunings up and dispose of them properly to help prevent disease next year. The best way is to return them to the soil somehow. 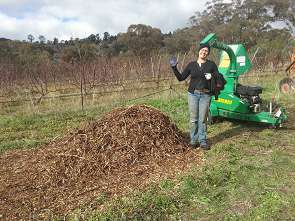 Large animals (sheep, goats, horses) just love to eat prunings (especially if they still have green leaves on them), and will often break them down enough to put the remains straight into a compost pile. Now that we have Tessa’s in-house micro-dairy here on the farm as part of the Harcourt Organic Farming Co-op, the prunings go straight to a bunch of cows who think fruit tree prunings are a high treat! 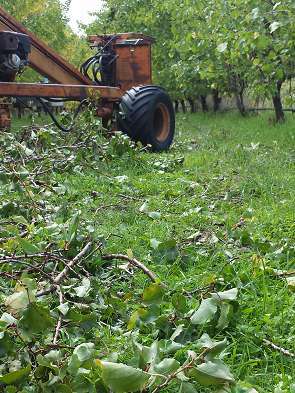 Another great technique is to chip the prunings. You can either leave them in a pile to age and then put them back on the trees, or put them into a compost pile. Learning how to make your own compost is one of the “must-have” techniques for all gardeners that are serious about growing their own food. It’s really hard to find good quality compost to buy (not to mention quite expensive, as it’s something you need to apply regularly), plus it’s one of the best ways to capture the nutrients from your garden ‘waste’ and return them to the soil. If compost-making is still a mystery (or keeps going wrong), our Compost That Works online short course will get you on the right path. 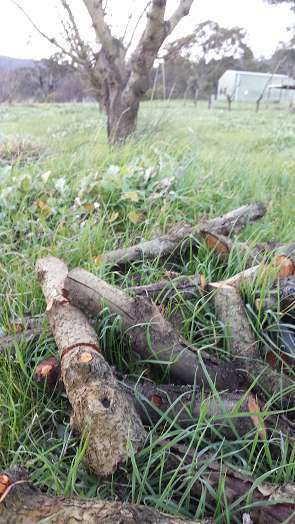 Larger prunings also make good kindling or firewood, or can be turned into biochar using one of the techniques we’ve described in other blogs, so there’s really no need to waste anything! What about Hugel Kulture? Think that’s how you spell it. Can use largish tree cuttings and make a bed but you need compost etc to fill in gaps. can leave it to settle and break down or plant with things maybe pumpkin type to clamber over it? Stuff on youtube to show how to do it. Hi Chris, yes, that’s another great technique for returning organic matter to the soil and one we’ve used at times on the farm – more by default than design, it has to be said! It tends to suit more one-off situations, and you need enough land to keep creating the beds because they can take quite a while to break down, so it might not be the best option for dealing with regular prunings, but a good one to have in the mix for sure.